This exciting Torah reading is one of only two to feature a unique layout. One midrash says the pattern of the words in the Torah mimics bricklaying. Others say it looks like the water of the Red Sea just as it began to split. 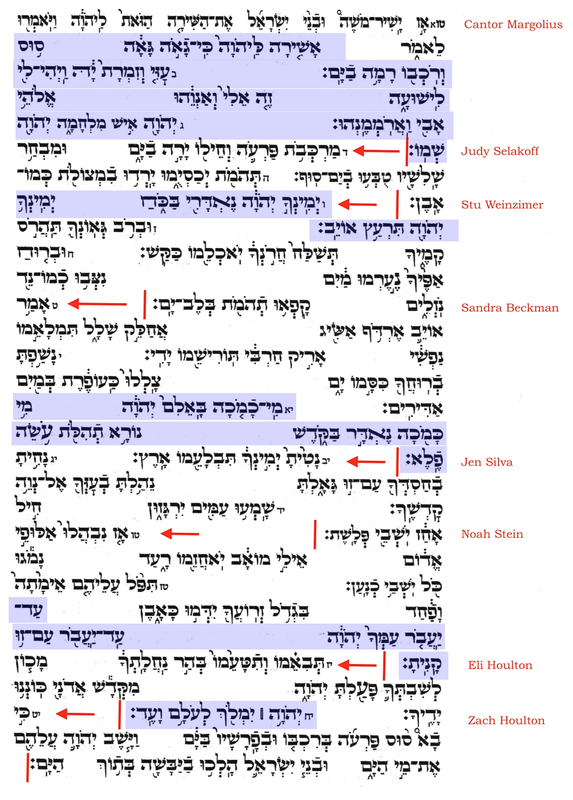 For parts of this special Torah reading, we sing the words to a special tune instead of chanting according to the trope. Those sections are highlighted in blue below. Click here to download recordings and a high-resolution practice sheet.